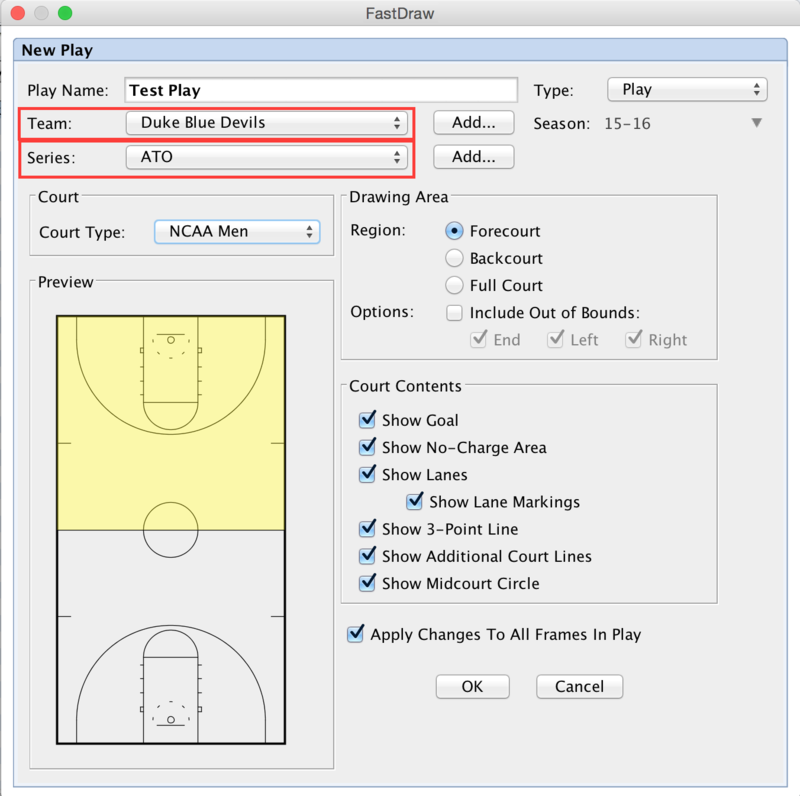 When you have the Draw tab activated in FastDraw, there are two windows that can be viewed. The Play Library window, on the left side, is a sortable list of all of the Plays or Building Blocks that you have created. By clicking on a play, it will open in the right window, the Play Editor, where you can view and edit your play, or where you can create a new play. The two windows can be resized to adjust how much space each window takes up on the screen. 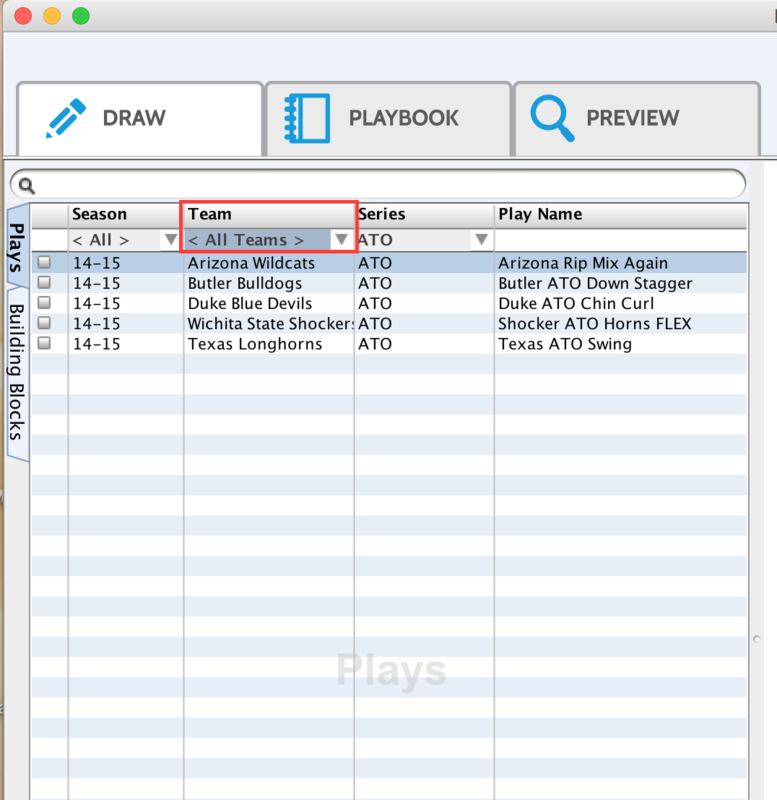 When you have the Draw tab open in FastDraw, your Play Library window will be displayed on the left side of the screen. 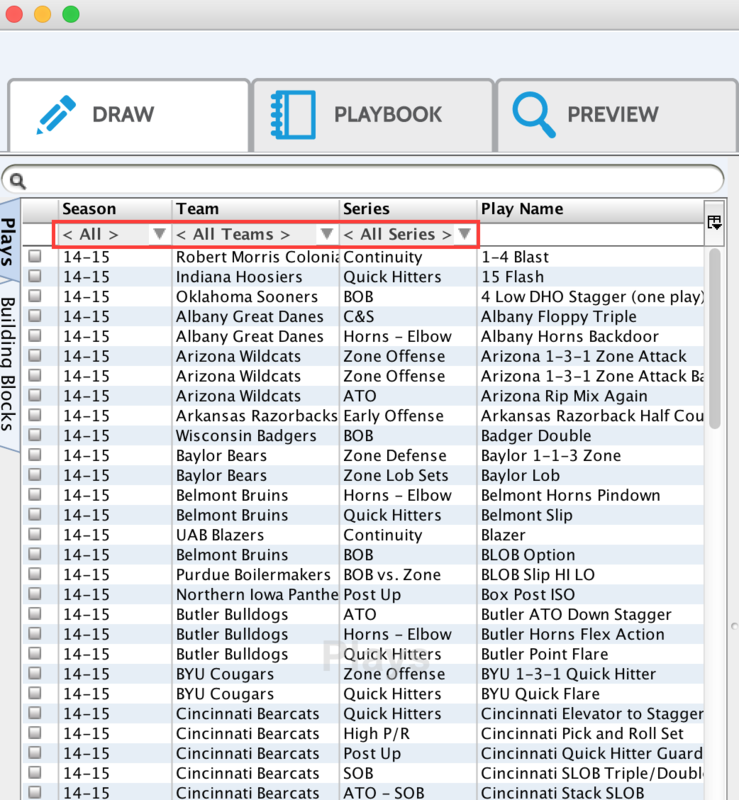 This is where your plays are listed and organized with labels for Season, Team, Series, and Play Name. Underneath each column header for Season, Team, and Series, there is a drop down menu that can be used to filter your play library and view only plays that meet your set criteria. To view every play that is currently in your play library, the Season, Team, and Series filters will all need to be set to <All>. Using the drop down menu, you can isolate plays by Season, Team, Series, or a combination of the three. 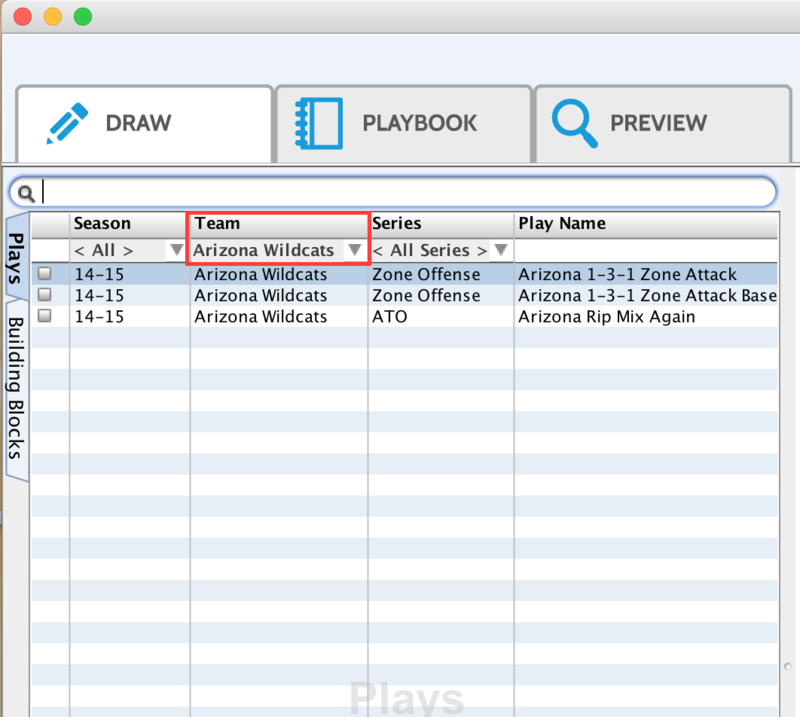 In the example below, the Team filter is used to display only plays with a Team label of Arizona Wildcats. 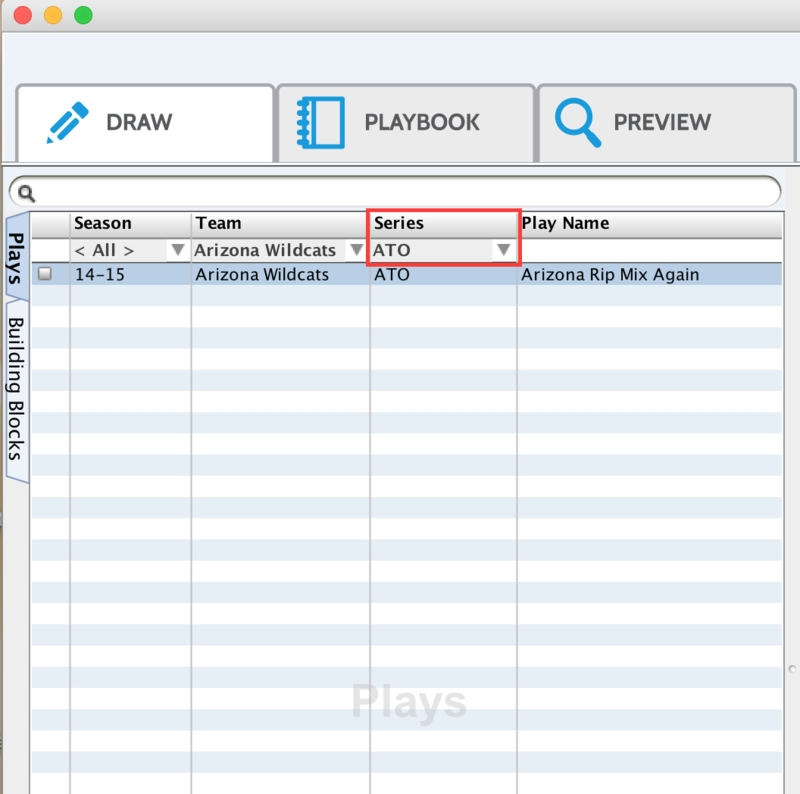 You can further filter plays by changing the Series label. In the example below, setting the Series to ATO will eliminate the plays labeled as Zone Offense. By switching the Team filter back to <All Teams>, the play library window now displays all plays labeled as ATO, regardless of the Team. Once again, switching each filter menu to <All> will display every play in your library. When you create a new play, your filters will automatically be set to match the Team and Series for your new play.